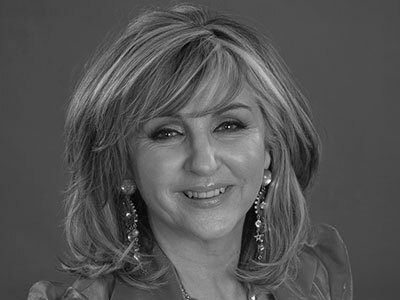 Lesley Garrett was born in Yorkshire and studied at the Royal Academy of Music with Joy Mammen, with whom she continues to study. Previously at ENO: Mrs Rutland Marnie, roles in Xerxes, Ariodante, The Cunning Little Vixen, Don Giovanni, The Magic Flute, The Mikado, Un ballo in maschera, The Barber of Seville. Lesley’s operatic career began at Opera North with Sophie Werther and Susanna Marriage of Figaro; she returned to the company in 2013 as Elle La Voix humaine and 2016 as Val in the world premiere of Pleasure. Notable engagements elsewhere: Servilia La clemenza di Tito (Geneva); Hanna Glawari The Merry Widow (ROH, WNO); and most recently CHORUS (WNO) and Despina (Garsington). She sings regularly with all the major symphony orchestras and leading conductors in the UK and internationally. Recent recital appearances include Forsaken Women (Howard Assembly Rooms), Aldeburgh, Glasgow and Harrogate International Festival. In the West End, she starred in The Sound of Music and Carousel. Recordings: 14 solo albums, most recently A North Country Lass; Despina (Chandos/Mackerras). Television: countless appearances including three of her own record-breaking series, Lesley Garrett Tonight and the Lesley Garrett Show. In 2002, she was appointed a CBE for services to music and is a Fellow of the RAM.